Sadly, this is the last post of the series. Now we know that Facebook isn’t just for college students anymore. Police are using social media sites like Facebook, Twitter, YouTube and more to catch unsuspecting criminals in the act. Although some police officers aren’t exactly ready to trade in “Old fashioned police work” for Facebook investigations, most agree social media sites are a valuable investigation tool. Police departments use social media sites not only to investigate crimes, but also as a means to reach out to the community. They inform citizens of emergencies and even post pictures of wanted suspects or sexual predators in the community. We’ve talked about police tracking down suspects in online games, and even finding suspects after seeing them “check-in” at a location. Social media sites are like a gold mine for police officers. Suspects continue to brag about their latest shenanigans, complete with pictures for evidence. All police have to do is patrol social media sites, until they find what they are looking for. However, some citizens are concerned that allowing police to use social media sites to investigate crimes will violate privacy rights. But we’ve seen, that this is exactly what the police don’t want to do. Police departments all around the nation have established social media policies to ensure the rights of the citizens are protected. Even though every police officer may not follow the guidelines, most welcome the regulations. But what happens when police officers, the very people we look to for help are the perpetrators? This is almost unbelievable. Police officers are supposed to use Facebook to help the citizens in their community, not harm them. What happens when police officers are given information from Facebook and the officers fail to investigate the reports? Where can people turn when their cries for help go unanswered? Matthew Cline was a 17-year-old high school football player. 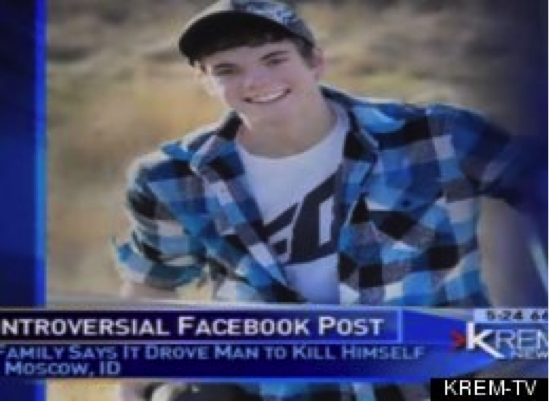 He posted the message on the social media site, iFunny, the night before he shot himself in the head at home with a gun belonging to his parents. Was this a cry for help? Did Matthew post this status hoping someone would come to his rescue? The world will never know, but we can only assume he did. His post didn’t go unnoticed. Another high school student, Ana Gutierrez, who was about 300 miles away from Matthew, saw his iFunny post and became concerned. “She did some sleuthing and managed to locate his Facebook profile. To her surprise, he accepted her friend request immediately.” From there, she was able to discover where he lived and the school he attended. Then she did what anyone else seeing the post might have done: She called the police. She told them about the post and even emailed screen shots of his Facebook account. Guess what, not one police officer went to Matthew’s home to check on him. Officers even found the correct Matthew Cline on their database as well as his address and his father Bill Cline’s cell phone number. Yet, no one was dispatched to the home. Here’s why: The police officer found another Matthew Cline in the same area. Yes, you read correctly. Not twenty, not ten, not even three, but one other person named Matthew Cline. Call me crazy, but I think Matthew’s life was worth more than the gas saved. Colorado police dropped the ball. But there’s still hope. A New Jersey police officer’s prompt reaction saved this person’s life. 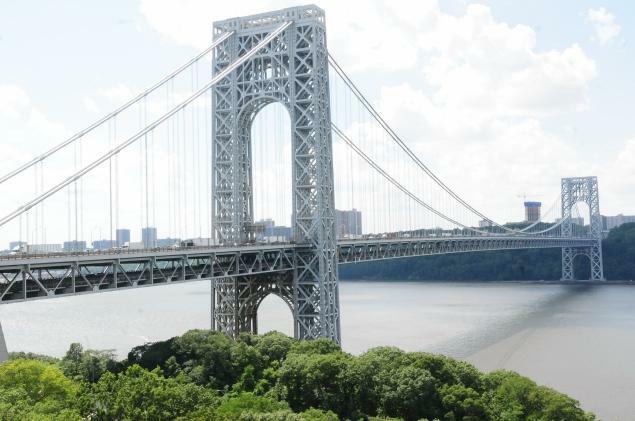 A New Jersey college student about to be kicked out of his home, posted a picture of the George Washington Bridge with the words “I’m thinking of jumping” on his Facebook page. One of his Facebook friends saw the post and called the police. A police officer distributed a photo of the college student from his Facebook page to other officers — and also left a message on the teen’s Facebook page encouraging him to call him. The teen actually called the police officer.